It is actually possible for the zombies to get humans that are there with a really lucky strafe jump and shank, but they need to not be getting shot at in order to do it. A few spots on beach need to be fixed. I PMd moonlight to help me edit all the spots that need to be fixed. This is actually one of the most popular maps on the lil panic server and a damn good add. I believe that should also be considered a ledge and crouch spot. 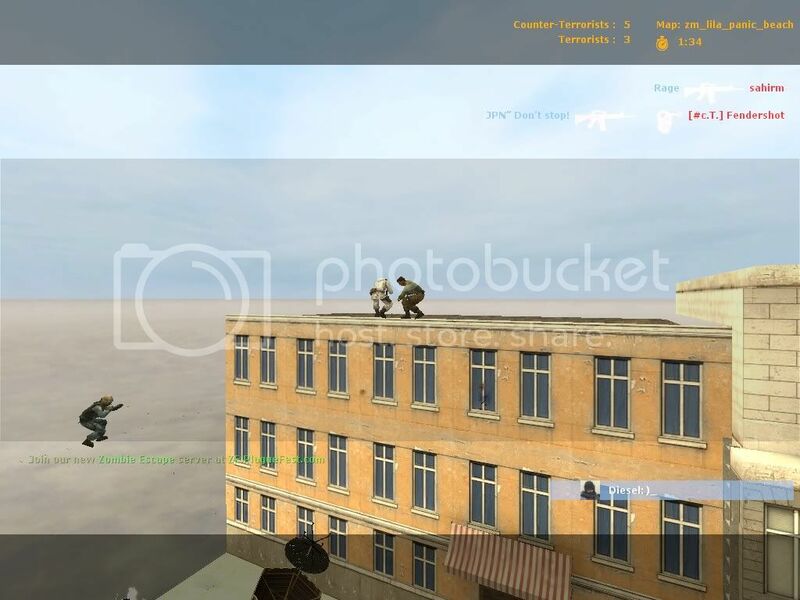 You need to strafe up the ladder at the right angle and then can only move along it while crouched, and zombies can't jump high enough to get them as the humans are on a roof. you dint list any map what you wished to edit ..
also is the spot toxic posted illegal? I'd say yes to both, they're both ledges. shouldn't this be considered a ledge? I believe that the indicated ledge is legal since zombies can attack from both front and the back. The tube teleports you to a fish tank where humans eventually die. Plus the tubes are not camp-able, soon as you attempt to enter the tube you are teleported.